When approached to write a piece about lifelong learning, I had to confront the reality that I am now old enough to be considered as having a life’s worth of learning, albeit a short one. Until October last year, I spent my life tucked away in academic bubbles. As an idealist, I sought to understand and shape the world by learning about ideas. I was a lecturer of philosophy in the Middle East then came to Oxford to complete a Master’s degree and a PhD researching food networks. My research brought me on the slopes on an active volcano in Mexico living with indigenous farmers. I discovered there pinole, an Aztec corn flour which I believe ought to be the next quinoa. For 4 years, I studied one of the most hollowed out villages by youth migration in the world. The more I observed, the angrier I became. The more I published, the more useless I felt. My despondency culminated in my third year of research when I declared to my father - nothing seems real till I tell him - that I wanted to start a company. The aim was to sell pinole as a high-end product to global markets to revive the village’s local economy. My father envisioned his daughter as global trader; I imagined myself welcoming back the children of my neighbours that had headed a couple years ago to the US to wash dishes. Azure Foods Ltd was registered, then stayed dormant for two years as I slogged to submit my thesis. I spent the following year stuck and scared of making the leap from academic to the unpredictable and, from all accounts, highly risky world of entrepreneurs. Throughout my “adult” life, I learned teaching, researching, and publishing. Early on, I found a mentor who had taught me the ropes, encouraged me to believe in myself, and aim high. It was all about endurance: “it’s a marathon, not a sprint”. Know your field, acknowledge those who dominate it, outline the theoretical frameworks that surround it, position yourself, and make a contribution (however minimal that may be). Throughout a decade, I learned to work alone, set my own deadlines, and outline a domain of knowledge. I learned how to engage people whilst teaching and I learned how to wait, wait and wait during my fieldwork. Participant observation was an exercise in adaptability, patience and to a certain extent, disguise. I enjoy reading broadly and most of all, I live for the discussions with peers. I quickly came to believe my work redundant. I also came to despise the never-ending, and competitive nature of “being published”. My efforts seemed to direct me towards the safety of tenureship rather than shaping the world, in any shape or form that may be. As you may have guessed, I’m not a very good academic. I wish I could say that deciding to quit my part-time job at Oxford last year was an act of courage. It was one of semi-desperation. What should I do with years of research?  It’s been over a year since I’ve tried to build Azure, infusing it with everything I learned about the food system. I’ve moved from mistake to mistake, attempting to take everything I honed during my PhD (patience, perseverance, adaptability) and put it to good use. Azure is about to launch its range of products in a couple months with the only energy bars made of pinole. Since its inception, I’ve won a couple competitions, and raised funds through a successful Kickstarter. Thanks to my previous training as a fieldworker, I have had to be extremely adaptive, network, and work unpalatable hours whilst waiting seamlessly forever for others to respond. I have followed a painful number of false leads, and have had to pivot again and again with unaccustomed dexterity. Though I am now well-versed in the art of being rejected, I have had to learn to defend my ideas with panache and convince others of the worth of my proposition. I am used to being alone, waking up in different continents and time-zones, working on trains and planes, and balancing my sanity with books and Skype calls to loved ones. The first greatest shift from fieldworker to entrepreneur is realising that people are happy to share their ideas and their thoughts freely. When it comes to their livelihood, money is the only reliable mobiliser. You’re not constructing a theory, you're building a business. You’re not defending a thesis, you’re selling a product. You don’t have informants, you have employers, customers and partners. Academics read your articles, customers buy your bars. Unlike a PhD, if your start-up is not running by the time the money runs out, it’s the end. Too many of my colleagues have had to extend their PhD beyond deadlines whilst funds ran out. The greatest lesson of all during this shift in career was not just questioning reality, but reshaping it. I have developed a decade's worth of theories about what a healthy, fair and tasty food system looks like; now I get to test these in practice. Entrepreneurs are mavericks who observe aspects of life, question them, and dedicate their lives to offering new ways of doing. Though I found patterns to success, the golden rule to entrepreneurship is to rewrite the rules by which the game is played. As with academia, I relish the luxury of continuous learning though now, my startup will only be validated when someone is willing pay for a product. My ideas have already been validated. Can I transfigure these into a tasty bar? The test has yet to come.